We’ve been fans of Sunshine Coast’s Doolie for some time now. 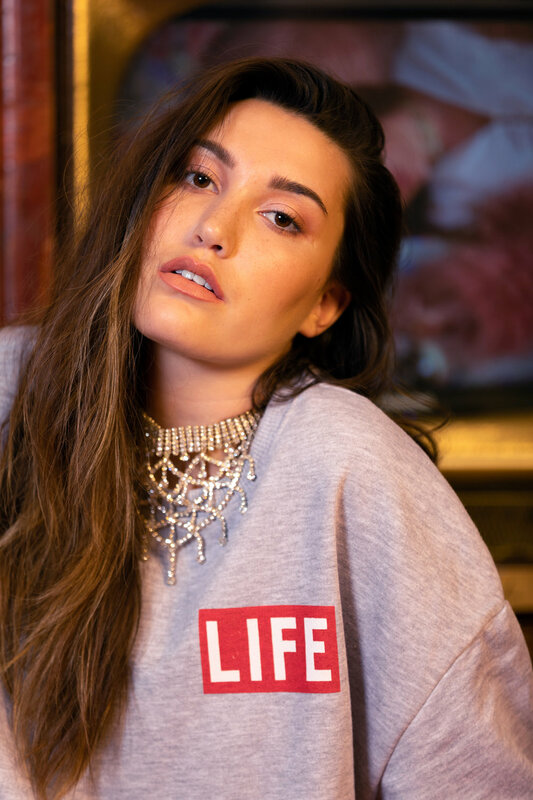 Recently the rising pop star released ‘2:20’ featuring Charlie Threads and signed to leading independent label, etcetc. We caught up with Doolie to see what’s been happening in her life, to talk about ‘2:20’, her recent signing and the future of the project. Futuremag Music: Hey Doolie, how's life treating you? Doolie: Hey hey! Life has been so amazing but so hard trying to keep everything to myself! Now I finally get to share the first little bit with my new single. Futuremag Music: Could you talk us through your musical journey so far? Doolie: Over the past year I’ve met some incredible people, have had some amazing opportunities – I never thought I would have the chance to sing at Splendour or Falls this early in my career. The past year has been a dream. I also never thought I would be so lucky to be signed to such an amazing label; etcetc are so great and I love them. Can’t wait to see where this journey goes! Futuremag Music: Could you outline the writing and production process for '2:20'? How did you loop up with Charlie Threads and GXNXVS? What was it like working with collaborators? Doolie: This song was one of those situations where GXNXVS and I both started from nothing and wrote alongside each other. It was such an incredible session because neither of us had met before and we were so open minded. We just clicked and it formed so naturally - we smashed the whole song in one day! Once we finished the song we realised it needed something else, and that’s when the idea of involving a rapper came about and we found Charlie Threads. His versatile style was what really captured me and he really understood what I was trying to say. His verse complemented my lyrics and was such a nice contrast in the song. They’re both such amazing dudes, I’ve been so privileged to work with them. Futuremag Music: Can you outline your signing to etcetc? What does it mean to have label support behind you? Doolie: After I released ‘KØLD’, the label reached out to me wanting to have a catch up at BIGSOUND. The past year has been getting to know each other and how we both work. They were the ones who linked me up with PACES and POOLCLVB. Futuremag Music: What does it meant to have label support? Doolie: Basically… guidance haha. These guys know what they’re doing. It was a big guessing game before etcetc; we kept working and we couldn’t see the outcome, so when they came along it all started to come together. There’s always that fear of stepping into the unknown as an independent artist, but now I’m surrounded by a team who genuinely share my dream and give me so much support. It’s amazing! Futuremag Music: What does the future hold for the Doolie project? What are some goals for the rest of 2019 and into 2020? Doolie: Gigs, gigs and more gigs! I guess the ultimate dream is to have a room full of people connecting and singing your songs. Whether it’s guest appearances or my own shows. Lots of writing and especially collaborative work. And just sharing, like I said this is only the first little bit!